The venerable company—including dancers Stella Abrera, Isabella Boylston, Jeffrey Cirio, Misty Copeland, Alban Lendorf, Gillian Murphy, Veronika Part, Hee Seo, Daniil Simkin, Cory Stearns and James Whiteside—returns to the Met for eight weeks. The run includes three works by artist in residence Alexei Ratmansky: Firebird (May 21–26, sharing a bill with Wayne McGregor's world premiere Afterite), Harlequinade (June 4–9) and a reprise of last year's Whipped Cream (July 2–7). 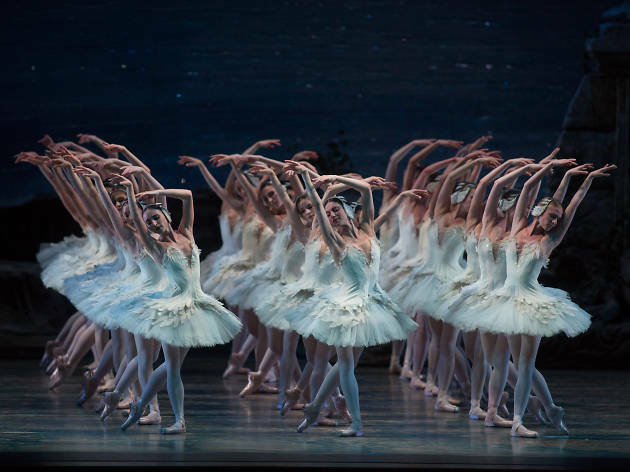 Other offerings include the full-length ballets Giselle (May 14–20), La Bayadère (May 29–June 2), Romeo and Juliet (June 11–16), Swan Lake (June 18–23) and Don Quixote (June 25–30).